I have spent several hundred miles riding the Pro Turnix Saddle. I am thoroughly impressed with its build quality, and its design. I typically prefer saddles without padding. When the good folks over at Shimano/PRO handed me the Turnix, so that I could provide an evaluation, I must admit I was a little bit skeptical when I saw “all that” padding. I put the Turnix on my bike midway through my mountain climbing phase of my training for the Furnace Creek 508. As you well know, there is a lot of time spent seated on a 20 mile climb. The saddle performed beautifully! The PRO Turnix has a subtle channel or relief in the center of the saddle. I also like the way the back of the saddle curves upward unlike most saddles that curve down and away from the center of the saddle. I find that this upward curve creates a backboard, if you will, to scoot back against while climbing. The saddle works very well under the seated climbing test. My training then went into my current phase which is working on my aero-position. During this period I installed aerobars on my bike. What I like about the saddle is get this…the padded nose. Yes, when in the aerobars or in the road bar drops the padded nose is really nice. Hence, I approve the saddle as not just a road saddle but I suggest it would work well on a triathlon bike. 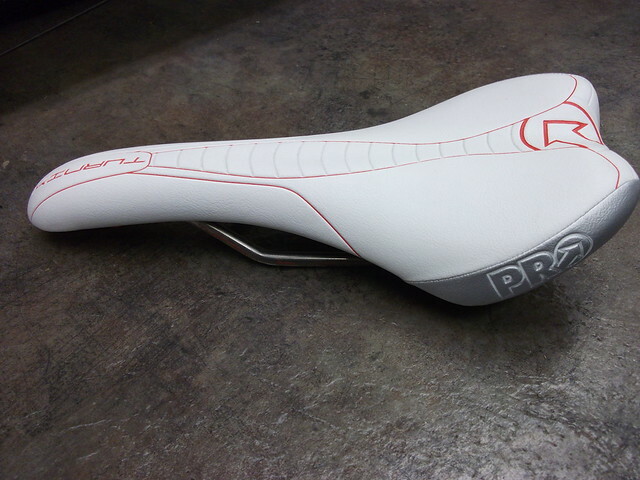 The PRO Turnix performed very well as an aero-position saddle. On the Epic Training scale of goodness I rate this saddle as a five star saddle.